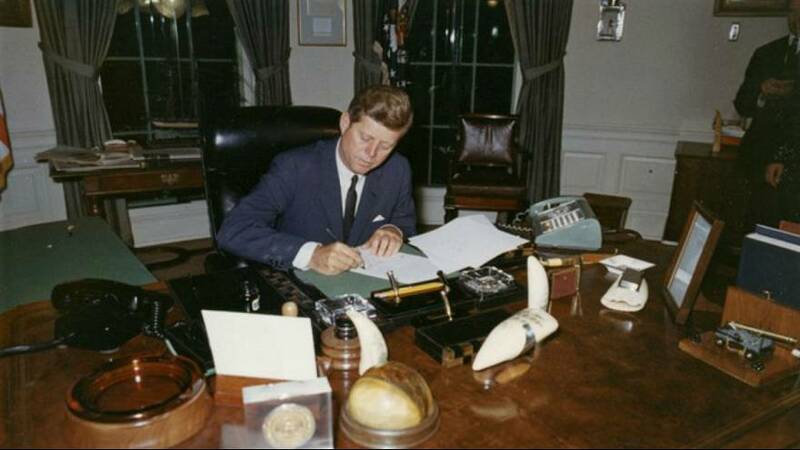 US President Donald Trump’s decision to open the National Archive’s files on the John F. Kennedy assassination will see the release of tens of thousands of pages of documents, supposedly the last unpublished data in the government’s possession. Their release is stirring the public’s imagination. “The anticipation is building,” says Euronews’ Peter Alexander. “Will this be the final chapter in one of the most defining episodes of American history? Among those fuelling the suspense is President Trump himself, greenlighting today’s release, ironically while on his way to Dallas, where John F Kennedy himself was assassinated, tweeting ‘so interesting’. “It’s federal law that mandated the release of these documents on this day, by today October 26th, unless the president suggested there was a national security reason that they should not be released, so the go-ahead will take place today. “We expect to see them on the National Archive’s website. Among the questions that many people want answered was did Lee Harvey Oswald act alone, did the US government know more than it let on back then, and what actually happened when Lee Harvey Oswald visited the Soviet and Cuban embassies during a trip to Mexico City in the weeks before the assassination?